That's a yearly subscription to Women's Health Magazine (10 issues) for just $5.00....a savings of $4.90. You can check it all out here at Amazon. Curious as to what is featured in this magazine? It's all about focusing on women.... women who are energetic about being healthy both physically and mentally. It's full of nutrition advice, fitness info, beauty and style tips, and much more!! As with most Amazon deals...not exactly sure how long it will stay at this price....so if your interested in it...don't delay!! Click here to sign up to receive a Free sample of Betty Crocker Au Gratin or Roasted Garlic Mashed Potatoes. It's a very easy form to fill out...and your free sample should arrive in 6-8 weeks. These will probably go fast....so hurry and get in on this one before they are all out!! As with every Back 2 School year...a hair cut is always part of the fun!! Here is a printable coupon for $2 off a Shampoo, Cut & Blow Dry at the Hair Cuttery. Coupon does not expire until 10/9/09. These great deals are good through next Saturday 9/5, 2009. Probably best to get there early in the week for best selection!! Prices are valid in-store only. Here is a printable coupon for $5.00 off a $10 purchase of Fisher Price Trio. What are Trio? They are easy-click bricks, sticks, and panels that let kids build and rebuild for endless fun. They have various different sets for ages 3-9 years. Perhaps an item for the gift closet?? This week only, that is at Cosi!! Starting today through next Sunday September 6th, choose from selected adult entree's each day of the week and pay the small kids price of just $4.99 with this printable coupon here!! If you plan to go more than once during the week...be sure to print multiple coupons!! $4.99 Kids prices available at participating locations only....you may want to call ahead to be sure your local location is participating. Pay just $3.79 OOP for both items PLUS get a FREE gallon of milk with the purchase of 2 boxes. **Note: If you have multiple coupons for either item you could buy 4 of the same item and the deal still works!! These deals at Target run today through next Saturday 9/5. See any other great buys at Shop Rite this week? Please leave a comment and share what you've found!! This week Acme Markets has a great Back To Their Best Promotion going on through 9/3....spend $25 on participating products and get a coupon at checkout for $10 off your next shopping order!! Not a bad deal for all 10 items!! **Remember this is just one of many ways to do the deal....you can alter the deal to the product you use. Just remember to stay as close to $20 as possible for the best deal!! Also all items must be on one receipt and must present your SuperCard for discount! Looking for some fun things to do for both you and the kiddies? How about host a playdate?? Not sure how to host one? Or perhaps out of fresh ideas on what fun things to do during it? Here is a cute, fun filled downloadable Playdate Planner from Mott's for Tots. It's full of great activity ideas, planning tips, and more!! See any other great buys at Acme this week? If so please share it with us in a comment!! Well, if you are planning on purchasing Hannah Montana The Movie here is a printbale coupon for $5 off the DVD or $10 off tha BLU Ray Combo Pack. I know around here it seems like birthday party after birthday party. Well, coupons.com must sense all the parties we have been and will be attending and just put up 2 great toy coupons to help save us a bit of cash on the gift buying department!! -$5 off any $19.99 Nerf N Strike Blaster Purchase here. -$5 off any My Little Pony purchase of $20 or more here. The coupons have longer expiration dates of 11/1/09 and 12/31/09. So you could even print and hold onto them for possible holiday gift shopping as well!! Not sure how long they will be available...so best to print them now and know that you have them when/if need be. Here is a printable coupon for a FREE lip item (up to $7.50) with ANY purchase at Bath & Body Works. Coupon expires this Sunday 8/30..So hurry!! **You can purchase an item as low as $1 or $2 and still get the FREE lip balm....think nail files, Gift wrap sets, PocketBac Hand Gels, or Clearance Items. 80% Lean Ground Beef $.99 lb. Get 2 Free when you buy 2!! See any other great deals this week at Genuardi's....Leave a comment and share what you've found! What could make your Friday better than a FREE chocolate bar? Be sure to sign up starting at 9 AM today here for your chance to win a coupon for one of 250,000 FREE Mars chocolate bars. Not to worry if you missed out this week...there is always next week and every other Friday until September 25th!!! Reminder: If you've already won in the past few weeks: There is a limit of one (1) Coupon per email address per Friday and four (4) coupons per household during the offer period. Click here to request a FREE sample of new Fancy Feast Appetizers for Cats. This freebie is courtesy of Walmart. Has it been a while since you had your little ones picture taken? Well, The Picture People is offering you a FREE 8x10 or 10x13 portrait + 20% off any additional prints!! The Picture People has no sitting fees for kids, pets, and families. Click here to print your coupon. Offer expires 9/12/09. Of course, the best way to do this deal would to just go in for the freebie...or if you must a freebie and a sheet or two. Just be sure to ask for prices on additional items before purchasing!! This way you are not shocked by the total at checkout!! Well, perhaps you may want to stop at Sears before this Sunday the 30th!! Here is a printable coupon for $5 off all Easy Living and Weatherbeater paint. Or you can shop online and pick-up at your local Sears location. When shopping online no coupon code is needed, savings will be applied at checkout. Craving Mexican Food? How About a Visit to Acapulco? Here is a printable coupon for Acapulco Restaurants.......Buy 1 entree and get 2nd one for just $2.99 with coupon here. Coupon expires 9/27/09. If you have not yet signed up for their e-Club yet....you can sign up here. Just for becoming a member you will receive a FREE guacamole! -A FREE entree on your birthday! To find a location near you...click here. Are you collecting Gifts To Grow codes from Pampers products? Here is a free point that you can add to your account: FREECODE0906EXP Code expires 9/06/09. Not sure how the Gifts To Grow codes work? Click here for all the details!! It's time once again for another One Day Wonder Sale this Saturday 8/29 at Old Navy!! Get a FREE Graphic Tee when you purchase any (1) pair of adult jeans for just $19 (Regularly priced at $29.50)!! Remember to head on over to Old Navy Weekly to print off a coupon to take with you for even bigger savings!! Offer valid in-store only, and only while supplies last. Probably best to shop early for best selection!! 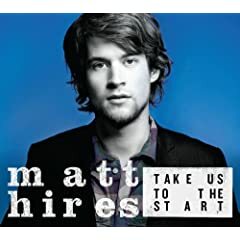 Today only download the song State Lines by Matt Hires for FREE thanks to Amazon's Free Song of The Day Promotion. Click here to get started!! What's a better way to add to your play list than a FREE song?? Do you have a little about to start on solids...well then, this post is for you!! Click here to sign up for the Beech-Nut e-Newletter......each newsletter is filled with helpful advice and money savings coupons!! As a Thank You for joining...you will also receive a FREE Starter Kit in the mail from Beechnut! Your Starter Kit should arrive in approximetly 3-5 weeks. Today ONLY, 8/26 get a Free 8x10 collage print at Walgreen's!! You will find Collages under the Gifts tab here in the top menu bar. Create your collage and then simply enter coupon code: FUNDAY at checkout. Be sure to choose in-store pick-up to avoid shipping fees!! Perhaps this will make a nice gift for someone, or a great keepsake from a trip you've taken with the family? Thanks to The Coupon Geek for the heads up on this freebie! !